Last year, I conducted a simple retrospective for 2017. Therefore, here is a retrospective for 2018. Note: completing ten year blog post on various game development topics is an achievement! This blog was created in 2009 after the completion of my first independent game built using XNA: Henway. The goal was to discuss issues found during independent game development and provide potential solutions. Ten years later and this blog has expanded ideas to modern agile software application in game development and the ability to scale game projects quickly cross multiple platforms while always being mindful of quality. During this time, XNA has given way to other frameworks and engines but MonoGame has proved to be most successful in terms of applying these ideas to new titles such as Candy Kid, Simpsons Trivia plus 3D City. Conversely, must time has also been spent especially during the past five years programming older systems. Writing low level code to run on real 8-bit hardware like the Sega Master System with limited memory and storage requires performance-critical algorithms to be written to achieve maximum frame rate at all times. The future in Software Engineering looks exciting as LinkedIn opportunities include Blockchain Developer, Machine Learning Engineer and Machine Learning Specialist as part of the top five emerging jobs in 2018. 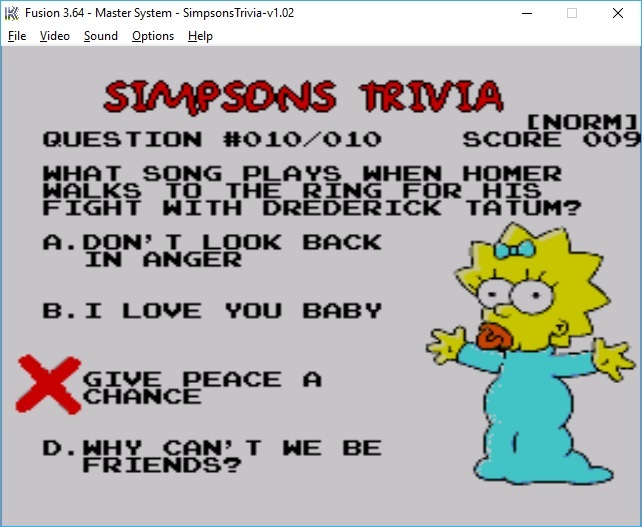 In the previous post, we introduced Simpsons Trivia: a simple quiz game for the Sega Master System. Here we outlined tasks to port original game to Android using MonoGame. Now we would like to port game to iOS. This post extends Candy Kid iOS port which assumes MonoGame and Apple certificates + profiles installed. 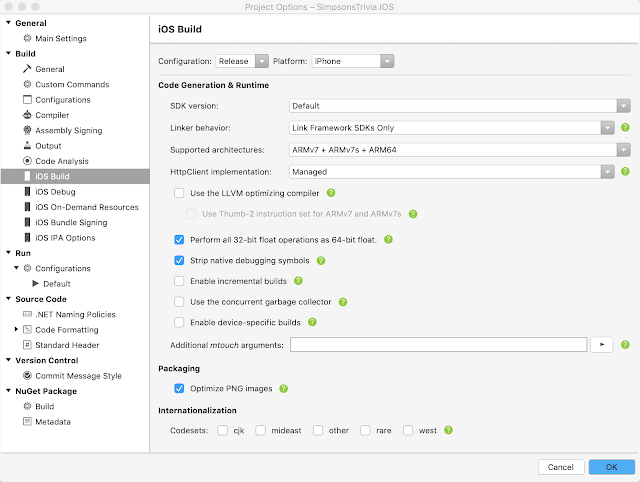 Although Visual Studio now integrates iOS templates for development Mac is still required for deployment. Download and install Visual Studio 2017. Install "Mobile development with .NET" for Xamarin development. Launch Visual Studio 2017. 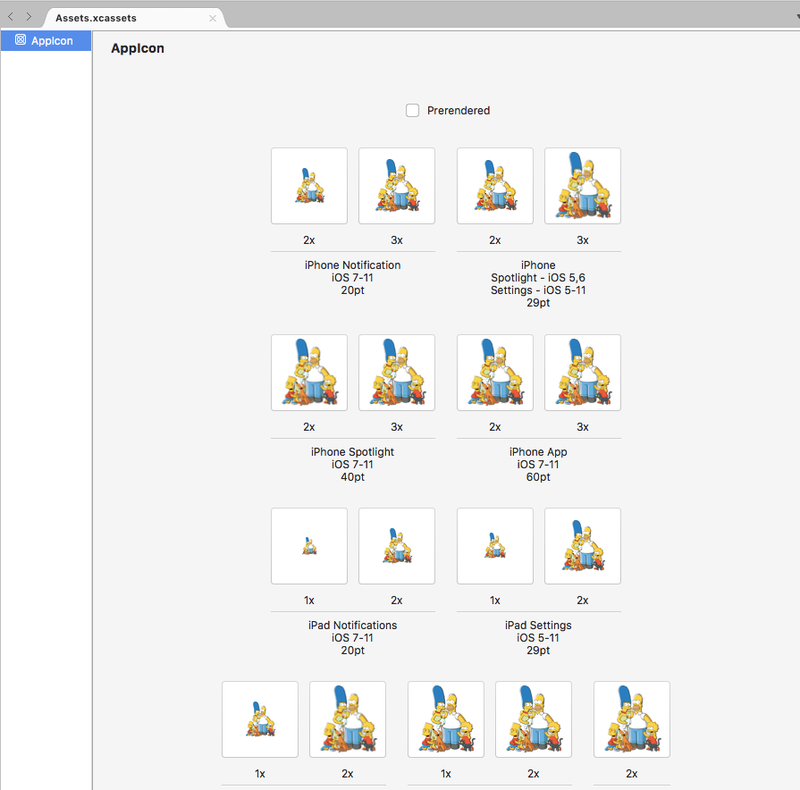 Tools | Options | Xamarin. Configure Apple Accounts. Click "Pair to Mac". Click "Add Mac" in popup and enter Mac name or IP address. Enter login details to connect. Verify iOS Settings. Ensure Username entered matches Current User on Mac e.g. "Steven Boland" and matching login password. If unable to connect using Mac name then ensure Xamarin SDK version compatible on Visual Studio for Mac. Visual Studio 2017: Create new project. 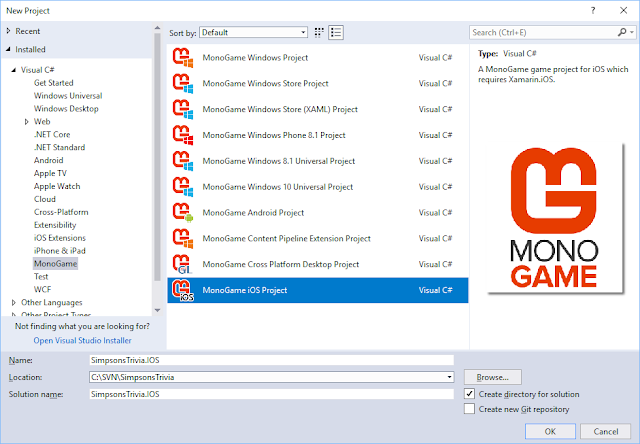 New Project | Visual C# | MonoGame | MonoGame iOS Project. Sign in to your Apple developer account | Certificates, Identifiers & Profiles. Ensure certificates are valid. Identifiers | App IDs click "+" to create new bundle identifier. Create corresponding Provisioning Profiles. On the Mac, launch Visual Studio for Mac. 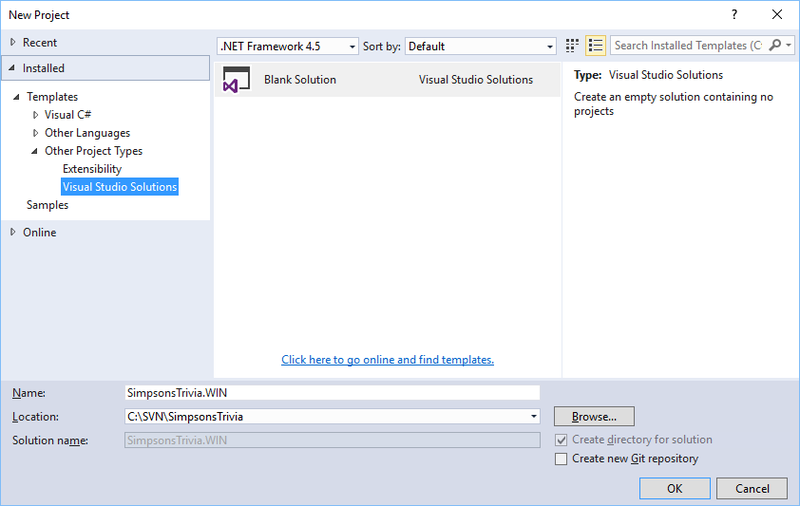 Visual Studio Community | Preferences... | Publishing | Apple Developer Accounts. Click "+" to sign in. View Details... and choose "Download All Profiles" in the popup. Navigate to makeappicon. Upload generic icon image that represents game. Best results use 1536 x 1536 image. After processing, download generated ZIP file and extract. Expand ios folder | AppIcon.appiconset. On the Mac, launch Visual Studio for Mac. Open SimpsonsTrivia.IOS.sln. Double click Info.plist file. Next to iPhone icons | Sources click "Migrate to Asset Catalog" This auto-generates AppIcon plus Assets.xcassets. Finally, import the 3x iTunesArtwork.png files to the project as these will also be used in the Info.plist file. NOTE: if the AppIcon magically disappears then it is always possible to edit Info.plist file by hand. Add reference to System.Xml.Linq as required by the game engine for any Serialization of custom XML files. It may be necessary to downgrade to MonoGame.Framework to 3.5.1.1679 in order to load Content from the Content parent folder and play sound effects. Right click References node | Manage NuGet Packages. Search for MonoGame.Framework. Also, install Portable Ninject package as Ninject is required as the IoC Container. Follow instructions to setup SVN Externals and use shared Data content plus Common + Master source code. Finally, delete default Game1.cs code file. Delete Default.png and GameThumbnail.png images as these not required. Import iTunesArtwork@1x iTunesArtwork@2x iTunesArtwork@3x PNG [above] if not already done. 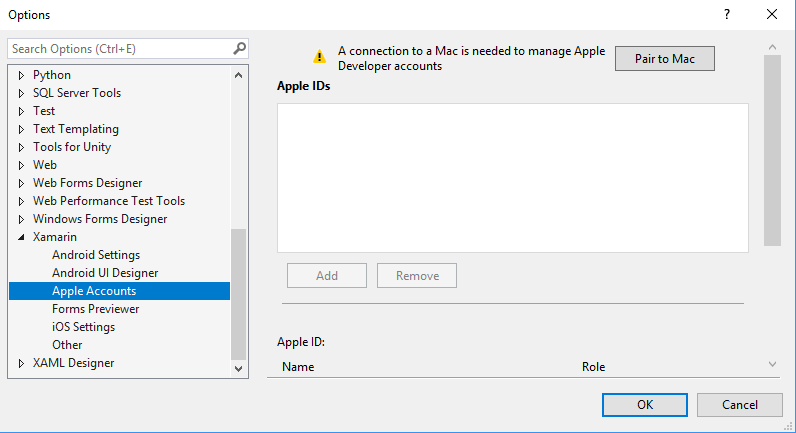 Despite the fact that you are able to complete all game development on Windows PC using Visual Studio 2017, it may actually be easier to complete the iOS deployment on the Mac using Visual Studio for Mac. Connect iOS device. In Visual Studio ensure device selected. Right click project | Archive for Publishing. Click Sign and Distribute... Here, there are 3x iOS Distribution channels: Ad Hoc, App Store and Enterprise. Choose Ad Hoc to save to disk and test locally while App Store will upload IPA to the store available for sale. The App Store deployment will prompt you to select signing identity and provisioning profile created earlier. Note: Enterprise is not valid here! Choose Ad hoc [Save to disk]. Choose provisioning profile | Publish | Save IPA file | Reveal in Finder. Launch Xcode | Window | Devices and Simulators. Select connected iOS device. Click "+". Navigate + open IPA file. Sign in Apple ID web site. In Security section under "APP-SPECIFIC PASSWORDS" click "Generate Password". In the popup window enter, for example "SimpsonsTrivia". Apple will generate an app specific password. Use information to sign in to Application Loader. Click "Deliver Your App" | Choose. Navigate to + upload IPA file. NOTE: resizeimage.net is a great online tool to help resize the same generic image for different resolutions. Launch My Movie Maker. Open MP4 file. Choose "Save movie" drop down | Create custom setting. Enter the dimensions. For height > 1080px try Online Convert: e.g. Screen size to 1600 x 1200 and fame rate: 30fps. Once published, if app is "Waiting in Review" for weeks then you have the option to expedite this process. Contact Apple and choose I would like to "request an expedited app review". Enter all information + Send. 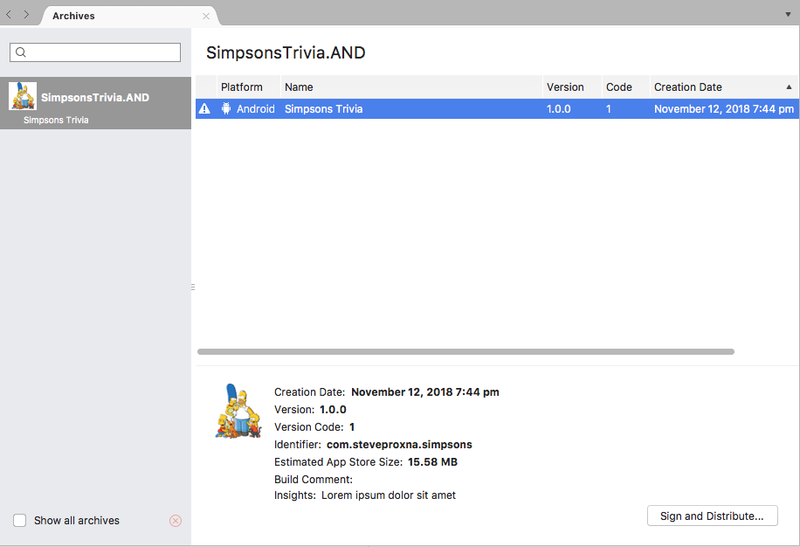 That concludes the Simpsons Trivia port to iOS. These blog posts set the foundation for the next video game! 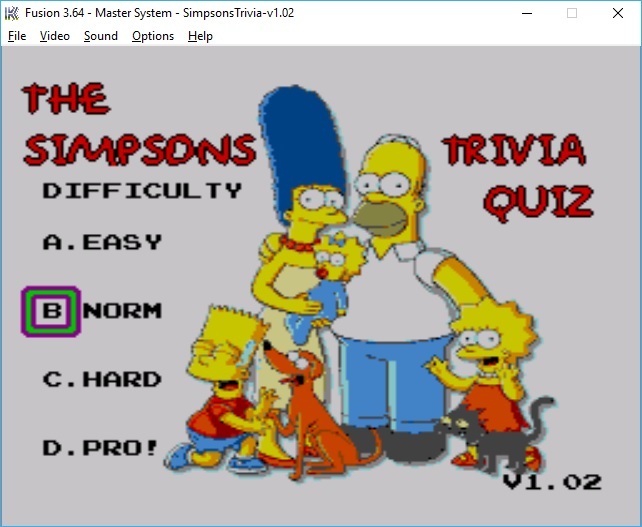 In the previous post, we introduced Simpsons Trivia: a simple quiz game for the Sega Master System. Here we outlined tasks to port game to Windows using MonoGame. Now we would like to port game to Android. 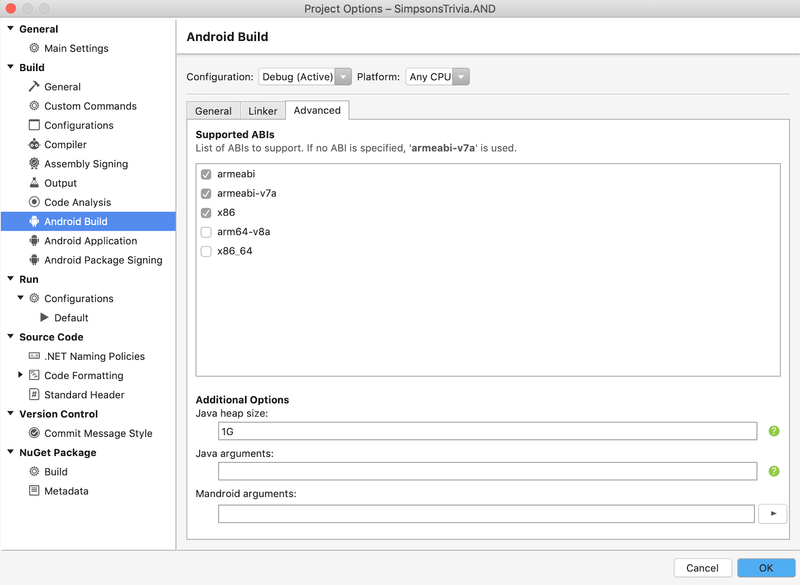 This post extends the Candy Kid Android port which assumes MonoGame, JDK + Android SDK are installed. Visual Studio 2017: Create new project. New Project | Visual C# | MonoGame | MonoGame Android Project. As of August 1, 2018 Google Play requires new apps to target at least Android 8.0 (API level 26) to meet the minimum target API level requirement. Right click SimpsonsTrivia.AND project | Properties. Application tab. Ensure "Compile using Android version: (Target Framework)" is set to, at a minimum, Android 8.0 (Oreo). 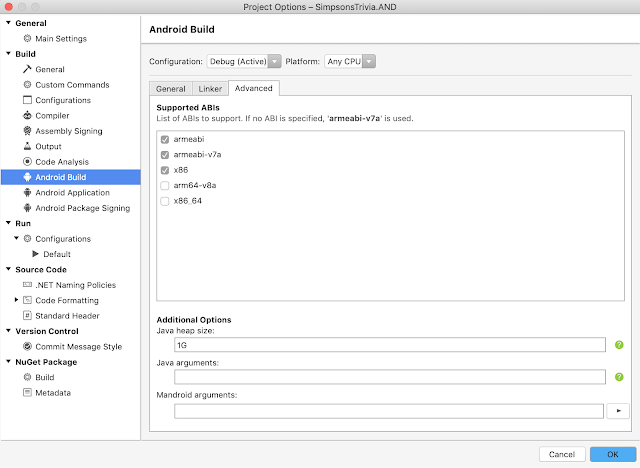 If Android 8.0 (Oreo) not installed then launch Android Studio. Tools | SDK Manager. Download API level 26. Note the Android SDK location and copy "platforms" folder to C:\Program Files (x86)\Android\android-sdk. Right click SimpsonsTrivia.AND project | Properties. Android Manifest tab. Click "No AndroidManifest.xml"
If there is an integer in the bundle identifier then Google will prepend an "x" e.g. 3dcity becomes "x3dcity"
Changes to Android version (Target Framework) on the Application tab [above] will update Mono.Android.dll reference. Note, it may be necessary to change OpenTK-1.0 reference to OpenTK for compatibility reasons. 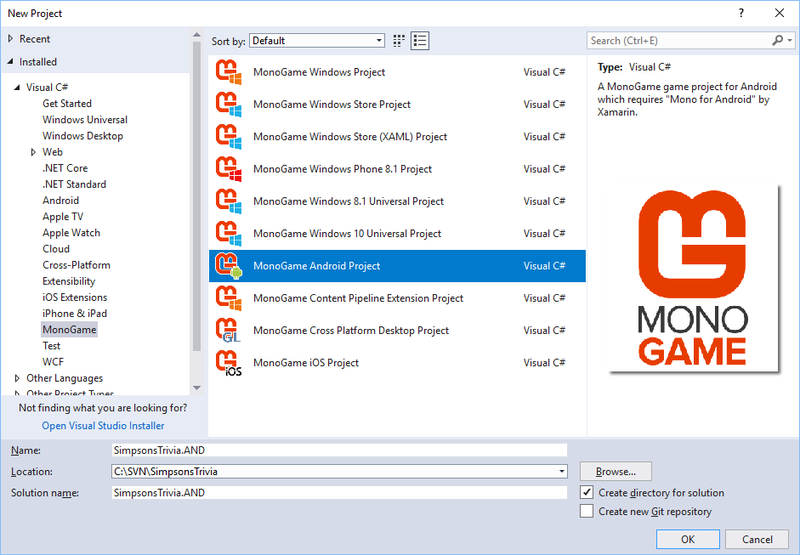 It may also be necessary to downgrade MonoGame.Framework to 3.4.0.459 in order to load Content from the Assets parent folder and play sound effects. Right click References node and Manage NuGet Packages. Change MonoGame version. Install Portable Ninject package too as Ninject is required as an IoC Container. , MainLauncher = true, NoHistory = true, Icon = "@drawable/icon"
, NoHistory = true, Icon = "@drawable/icon"
If 2x app icons appear on device then ensure there is one instance of MainLauncher=true only in an Activity! 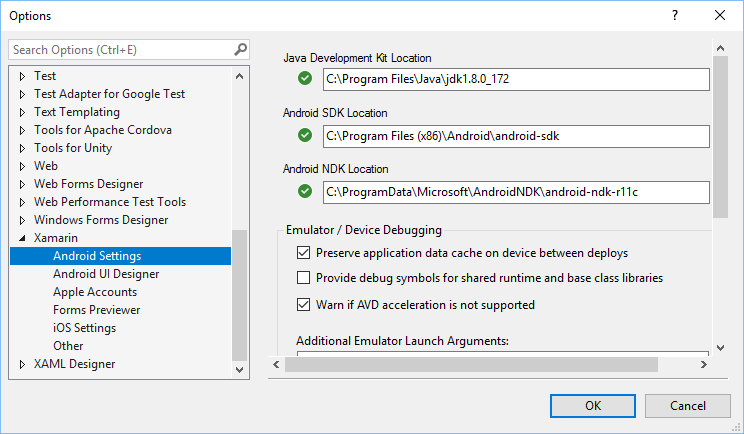 Despite the fact that you are able to complete all game development on Windows PC using Visual Studio 2017, it may actually be easier to complete Android deployment on the Mac using Visual Studio for Mac. Connect Android device. Launch Terminal and enter adb devices to ensure Android device is detected in the list of devices attached. 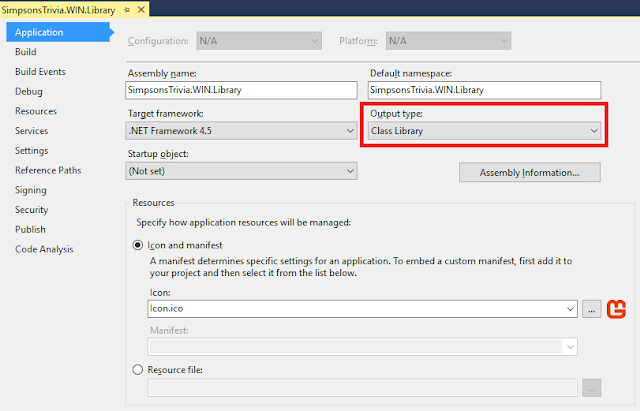 In Visual Studio ensure device selected. Right click project | Archive for Publishing. Click Sign and Distribute... There are 2x Android Distribution channels: Ad Hoc and Google Play. Choose Ad Hoc to save to disk and test locally while Google Play will upload to the Google Play store available for sale. 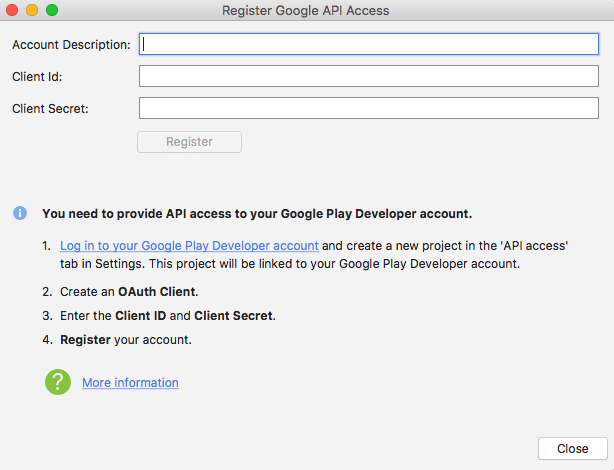 Sign in to your Google Developer account. Navigate to play.google.com/apps/publish | Settings | API access. Create OAuth client. View in Google Developers Console. Download JSON and extract the Client ID + Secret. Produce a YouTube video to showcase the game: Launch Camtasia Studio. Disconnect webcam if connected. Choose Record screen. In popup | click Audio button. You should see the following message about No audio: No audio input sources were found, pls verify that your audio devices are installed and plugged in correctly. Plug black cable from microphone into headphone jack. Shouldn't need to unplug speaker cable from audio jack. Click Audio drop down | Click Microphone Real Tech [visible] to enable. Now record screen as before. Ensure the game is COPPA compliant by completing the "Primarily Child-Detected" section under the Store Presence | Pricing & Distribution section otherwise the game could be unpublished from Google Play store. Finally, upload signed APK binary from deployment completion to Google Play and rollout Production release! 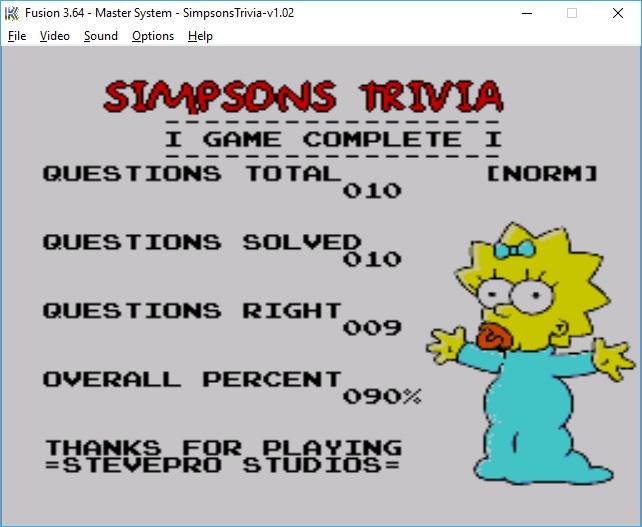 That concludes the Simpsons Trivia port to Android. 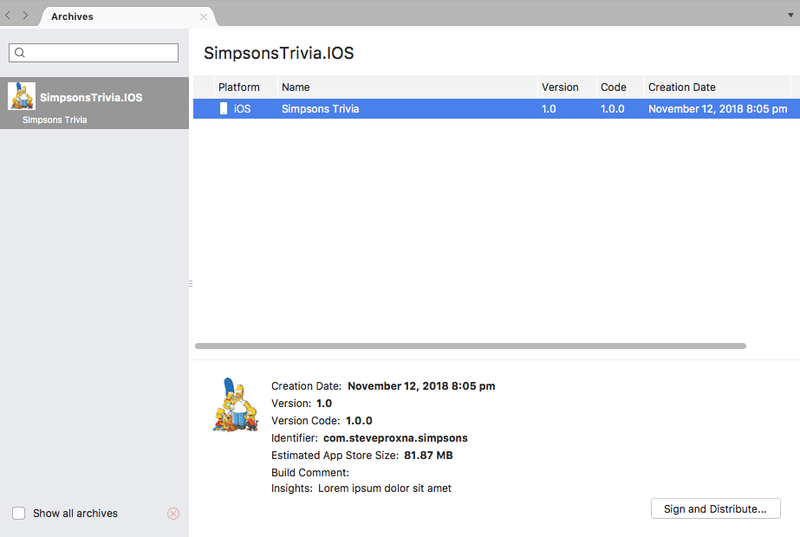 The next post will focus on Simpsons Trivia port to iOS. In the previous post, we introduced Simpsons Trivia: a simple quiz game for the Sega Master System. Here we outlined tasks to port game to XNA 4.0. Now we will port to MonoGame for Windows as a new baseline. The motivation here assumes a point where it is difficult / impossible to install XNA 4.0 plus required Visual Studio 2010 pre-requisite onto Windows PC. Especially if / when Windows 7 is deprecated for Windows 10. [In fact, currently you may be prompted to install GFWL for Windows 10 compatibility.] Let's check it out! 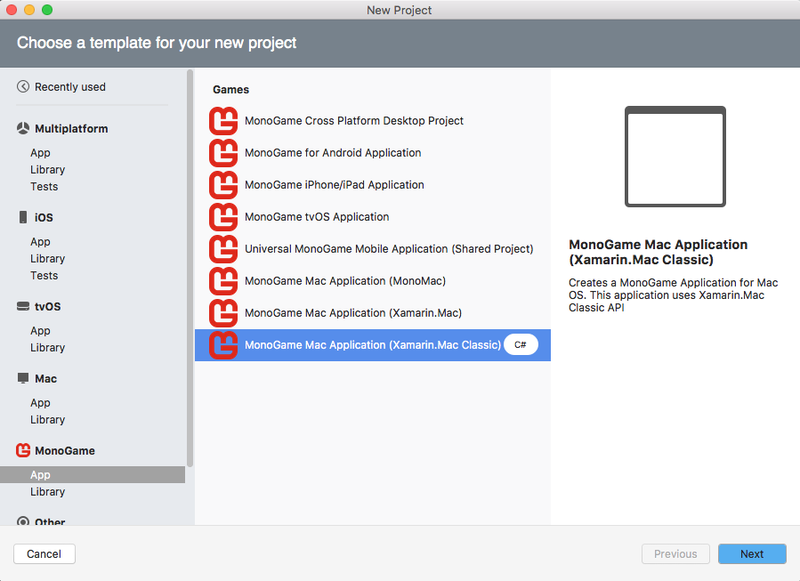 Follow all instructions from this post to setup MonoGame, Visual Studio and, if necessary, Xamarin Studio. Similar to previous post, write all game code in an external library to be consumed by multiple thin clients. Configure SVN Externals as previous post but library and test projects now driven from Windows solution! Don't forget to setup the *.nunit files to open with NUnit (x86) version by default. Right click SystemTests or UnitTests nunit file | Open With... | Add as "C:\Program Files (x86)\NUnit 2.5.7\bin\net-2.0\nunit-x86.exe"
Program: "C:\Program Files (x86)\NUnit 2.5.7\bin\net-2.0\nunit-x86.exe"
The original music used for Simpsons Trivia was in VGM format for title and game over and PSG format for the sound effects. Therefore, these must be converted to MP3 + WAV format respectively for Windows PC. Download Audio Overload application and extract. Launch aowin64.exe. Dag VGM file into application. Save clip as WAV file and click Play button. Play song to end. Once finished will save. Convert WAV to MP3 online. Note: Audacity can also be used to convert WAV files to MP3. Open WAV file. Choose File | Export Audio and Save as MP3. However, it may be required to download Lame to complete export! Download Lame from here. Unplug speaker cable from audio jack. Plug black cable from microphone into headphone jack. Launch Voice Recorder. Start recorder. Play Sega Master System program. Stop recorder. Save as, or convert to, WAV file. Contains flat TXT + XML data files to be consumed by the game. Do not need to be built as XNB files! 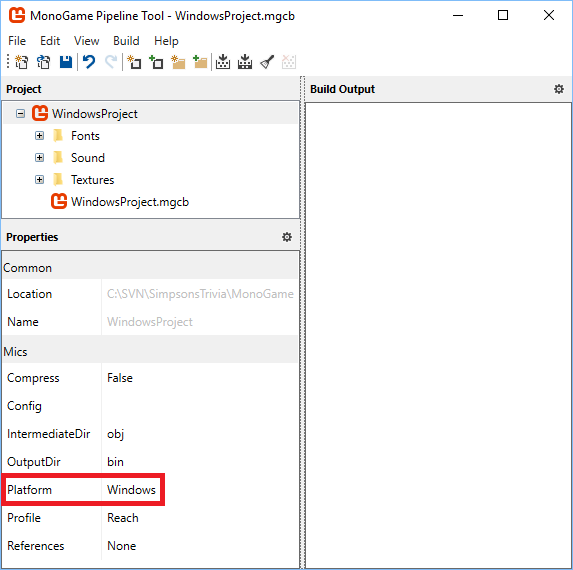 Start | run | MonoGame Pipeline. File | New. File name: WindowsProject.mgcb | Save content pipeline file. 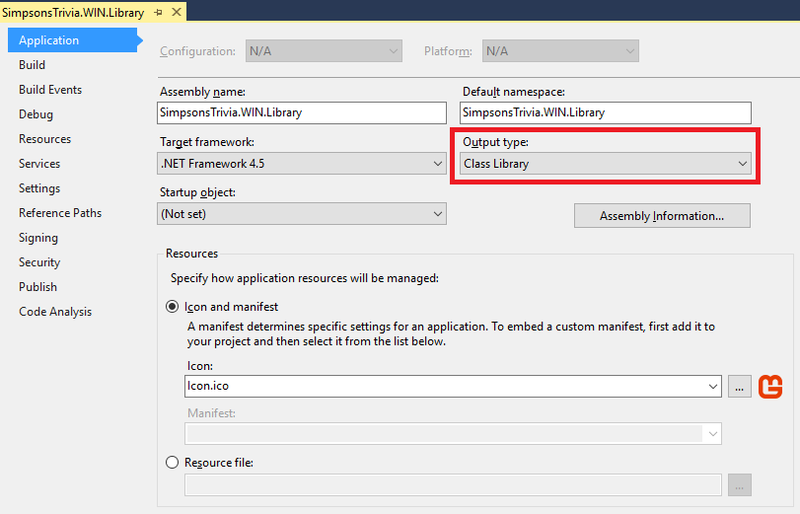 Select top level "WindowsProject" node. In the Properties window choose Platform; in this case Windows. Import all content from original game such as Fonts, Sound [music + sound FX] and Textures [images]. Right click on top level node and choose Rebuild. The converted XNB files will be generated in bin folder. In the previous post, it was assumed to use Cross Platform Desktop project template for MAC. However, this seems more Linux-based. Instead, on the Mac, launch Xamarin Studio. Create Xamarin Mac Classic project: Unfortunately, as this is an experimental build, it was not currently possible to integrate music and sound FX. Open Info.plist and choose minimum deployment target available. 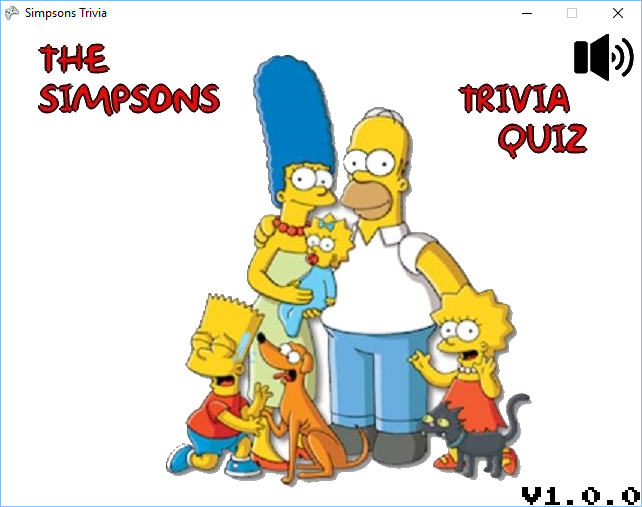 At this time the minimum version is 10.7.
svn propset svn:externals 'Data http://build/svn/SimpsonsTrivia/SimpsonsTrivia.WIN/SimpsonsTrivia.WIN/Content/Data' . svn propset svn:externals 'Common http://build/svn/SimpsonsTrivia/SimpsonsTrivia.WIN/SimpsonsTrivia.WIN.Library/Common' . svn propset svn:externals 'Master http://build/svn/SimpsonsTrivia/SimpsonsTrivia.WIN/SimpsonsTrivia.WIN.Library/Master' . svn commit -m "Add SVN Externals"
Previously, WinPhone7 [WP7] was used as a destination client intermediary between Windows PC and mobile device deployment + testing on Windows 7. However, WP7 projects may fail to build in Visual Studio 2010 as FilterItemsBySupportedCultures task failed unexpectedly. However, this may not be required with the upgrade of Windows 10 as WP7 may now not be compatible! The successor to WP7 is WP8. Therefore, it makes sense to look for an experimental client to replace WP7. While it's possible to get corresponding build, there may be Hyper V Manager issues on some Windows PCs: Follow instructions here but refer to 8.1 parent folder in C:\Program Files (x86)\Microsoft XDE\8.1\xde.exe. Start | run | Hyper V Manager lists WP8 emulators available to connect ignoring the Virtual Switch Manager. 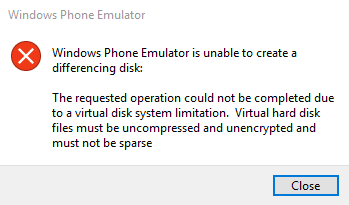 Right click C:\ Program Files (x86)\Microsoft SDKs\Windows Phone\v8.1\Emulation\Images and disable file compression. Right click %USERPROFILE%\AppData\Local\Microsoft\XDE and disable file compression also. To summarize, the transition from XNA 4.0 + Visual Studio 2010 + Windows 7 to MonoGame 3.6 + Visual Studio 2015 + Windows 10 was very smooth. Plus, was an opportunity for additional experimental builds. This included, an exploration of WP7 to WP8 for mobile device deployment + testing from the Windows PC. Finally, in order to complete mobile device deployment, the next posts will include ports to Android + iOS! In 2015, Candy Kid was written in XNA as a simple maze chase video game and ported to Android and iOS mobile platforms using MonoGame. The game code was written in an external library and scaled out using SVN Externals. Earlier in 2018, Simpsons Trivia was built for the Sega Master System. Now, we would like to employ similar techniques to re-write the game in XNA / MonoGame and scale out across multiple game clients accordingly. Let's check it out! 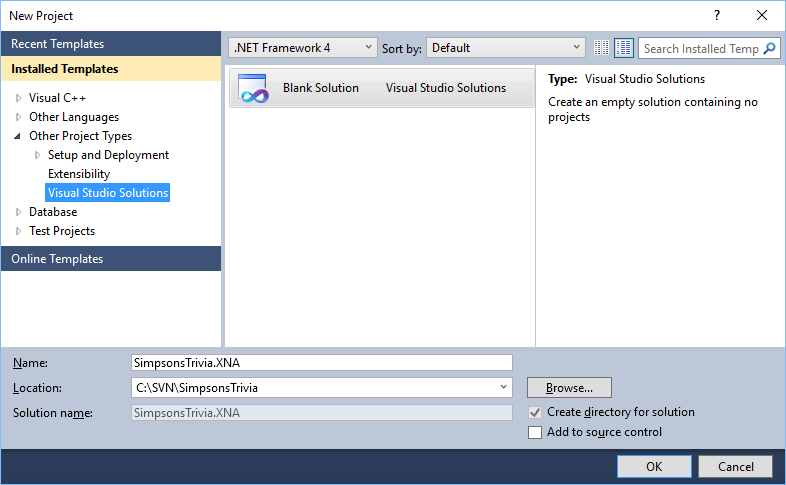 Create solution in Visual Studio and build the entire game using XNA. Write all game code in an external library to be consumed by multiple thin clients for all destination platforms. Add any experimental clients. Now that Microsoft integrates iOS templates into Visual Studio all clients can be developed on Windows PC. Mac computer is still required for iOS and Mac deployments, however. 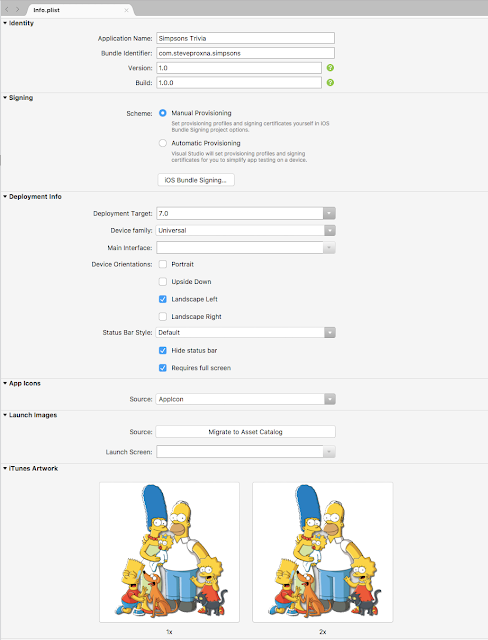 Create top level SimpsonsTrivia node in Subversion SVN. Add 1x sub-node for the XNA solution and multiple sub-nodes, one sub-node for each destination client such as WinPhone7 [WP7], Windows PC, Android + iOS. 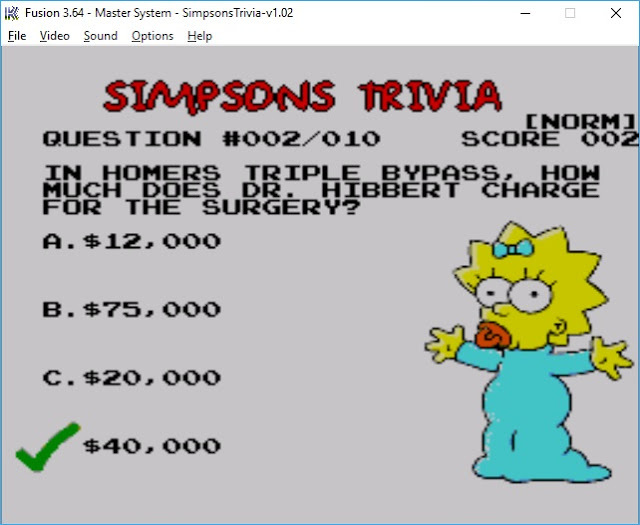 As Simpsons Trivia is small stand-alone game there will not be standard SVN branches / tags / trunk setup. Refer to initial table and launch Visual Studio to create multiple thin client projects. SVN externals used to link XNA library to all destination platforms [below] such as WinPhone7 [WP7], Windows PC, Android + iOS. Employ SVN Externals to avoid copy + paste programming for Common and Master code and content Data. Finally, right click C:\SVN\SimpsonsTrivia | SVN Update. Data folder available to include in ALL clients. 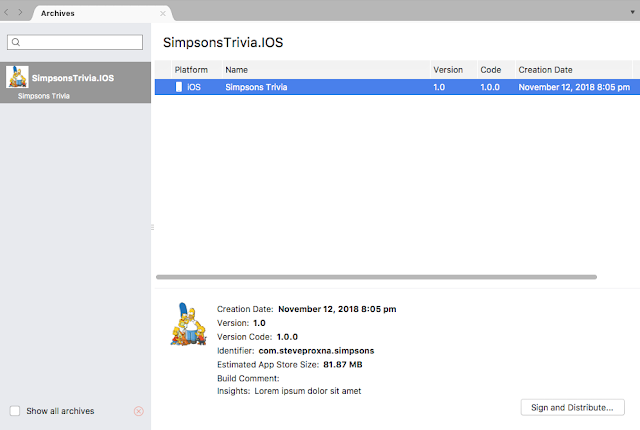 URL H://svn/SimpsonsTrivia/SimpsonsTrivia.XNA/SimpsonsTrivia.XNA.Library/Common code and logic. Finally, right click C:\SVN\SimpsonsTrivia | SVN Update. Common folder available to include in ALL clients. Finally, right click C:\SVN\SimpsonsTrivia | SVN Update. Master folder available to include in ALL clients. To summarize, there will most likely become a point where it is difficult / impossible to install XNA 4.0 plus required Visual Studio 2010 pre-requisite onto Windows PC. Especially if / when Windows 7 is deprecated. Therefore, it seems sensible to upgrade to Windows 10 : transfer these skills to integrate MonoGame 3.6 on Visual Studio 2015 as new baseline. After this, Android and iOS ports can resume using Visual Studio 2017. I am a big fan of The Simpsons; particularly the early seasons of the show. The Simpsons appeared in comic books, film, music and video games. However, The Simpsons had not appeared on the Sega Master System! Inspired from previous posts on Sega Console Programming and devkitSMS Programming Setup, Simpsons Trivia is my third 8-bit video game written in C / Z80 assembler to target the Sega Master System (SMS). Let's check it out! Note: my two previous titles published for the Sega Master System were 3D City and Candy Kid Demo. 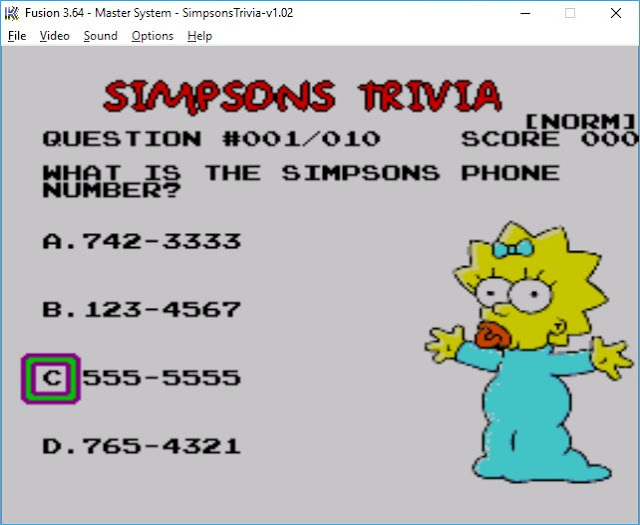 Sega Retro Gaming post documents how to play video games like Simpsons Trivia using a Fusion emulator. devkitSMS Programming Setup post documents development environment required to build C / Z80 source. Simple: move joystick Up and Down to select a multi-choice answer: A, B, C, D.
Press Button1 to select an answer or progress forward through any prompts. Note: Press Button2 to always go back. Joystick Left and Right are not used. 0x004F Debug Used in development => debugging. 0x0050 Cheat Non-zero value will show answers. 0x0051 Random Ask random questions during quiz. 0x0052 Music 0=music play otherwise off. 0x0053 Sound 0=sound on otherwise off. 0x0054 Extra Set visibility on all extra info. Some of the questions may be tough so you can cheat if necessary! Either hack the ROM as above to show the answers or alternatively press Button2 five times on the Title screen when prompted to "Press Start". Note: music used from Bart vs. the Space Mutants + Flicky and sound FX from Baluba Balok + Super Uwol! Reference to original Simpsons Trivia questions can be found here. The Homebrew community at SMS Power celebrates Sega 8-bit preservation and fanaticism each year with its annual competitions. Therefore, this is always an opportunity to participate by entering these games! Vlog retrogaming 6 nouveaux jeux Master System grâce au SMS Power 2018 !! Arguably, recent interest for Sega Master System games has grown in popularity could be due to the high quality work of Indie game developer eruiz00 with titles Astro Force, Silver Valley and Galactic Revenge. Not only do these awesome games keep the console alive but the fact that the community shares source code and assets; this certainly does help other developers improve their skills + contribute more games! To summarize, the 2018 coding competition featured the fewest entries  compared to 2017  and 2016 . However, for each entry in 2018, there seemed to be more accompanying box art and/or instructions. 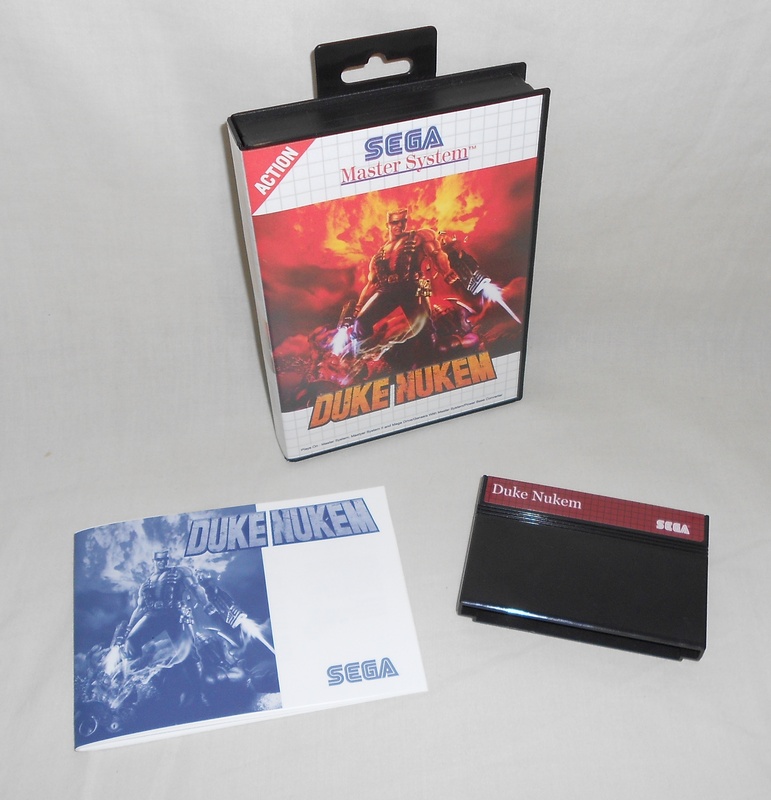 In fact, some Homebrew productions come complete with box art, case, cover and physical ROM cartridge e.g. Duke Nukem. Again, community members helping transform this fun past time into a serious hobby! In 2013, an initial ambitious goal was to build a retro game in pure Z80 assembler to target the Sega Master System. During the past 5 years, it seemed more feasible to code in C using either the z88dk or devkitSMS.